Zac Brown Band shoot their latest music video for “Knee Deep” in Careyes, Mexico. Zac and family (wife Shelly and their four daughters) stayed the weekend to enjoy the local cuisine, drinks and sunshine. Brad Paisley was a special guest recently on ABC’s Good Morning America in support of his newly released album This Is Country Music. 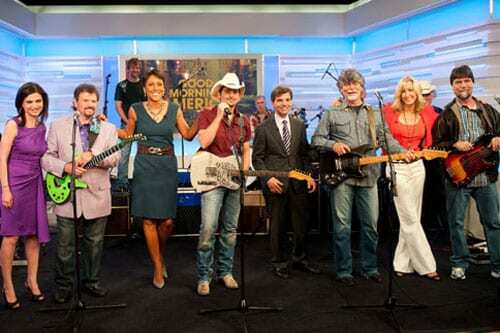 After an interview with GMA co-anchor Robin Roberts, Paisley along with supergroup Alabama, performed their No. 1 Billboard hit, “Old Alabama.” Co-written by Paisley, Chris DuBois, Dave Turnbull, and Randy Owen, this marks Paisley’s 19th No. 1. 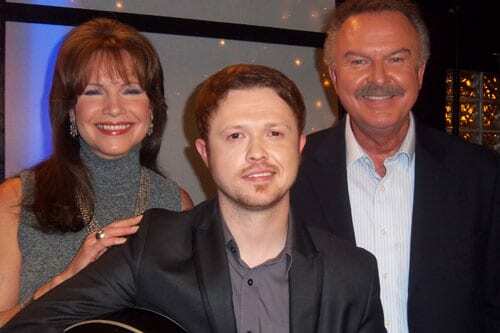 Columbia Nashville artist Bradley Gaskin performed his debut single “Mr. Bartender” on a recent visit to the Crook & Chase Show. (L-R): Lorianne Crook; Gaskin and Charlie Chase.